Microsoft has built-in troubleshooters to fix problems with Windows. The feature has been improved upon with every simultaneous update and became a part of the Settings app with the launch of Windows 10. 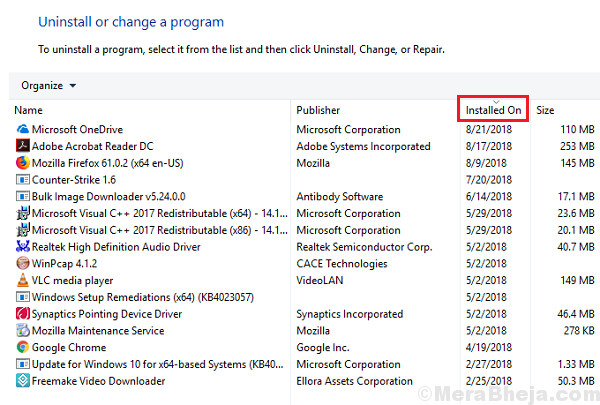 Other than the built-in troubleshooters, Microsoft has Fix it tools for known issues which could be downloaded from their website and run to resolve these problems. 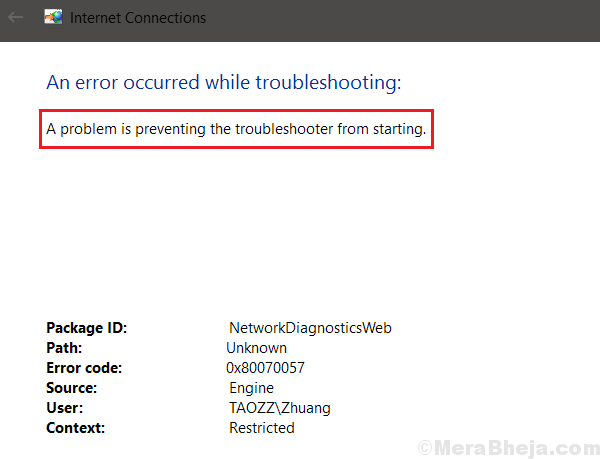 A problem is preventing the troubleshooter from starting on Windows 10. The causes could be many, including a malware attack, a stuck process, or even issues with the hard drive. 1] Go to the File Explorer and right-click on This PC. 2] On the list on the left-hand side, select Advanced system settings. 3] Go to the advanced tab and click on Environment variables. 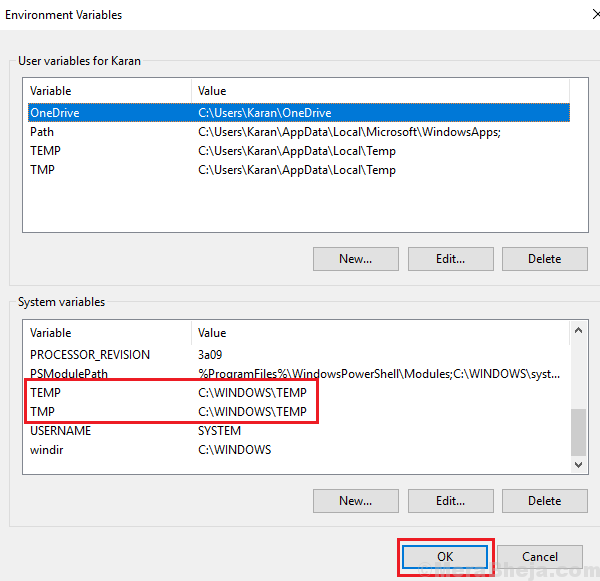 4] In the list of System variables, check the folder path for TEMP and TMP. It should be set to C:\\WINDOWS\TEMP. 5] If not, click on Edit and change the Variable value to %SystemRoot%\system32\cmd.exe. 1] Press Win + R to open the Run window. Type the command services.msc and press Enter to open the Services window. 2] Locate the Cryptographic Service in the list of services which is arranged in alphabetical order. 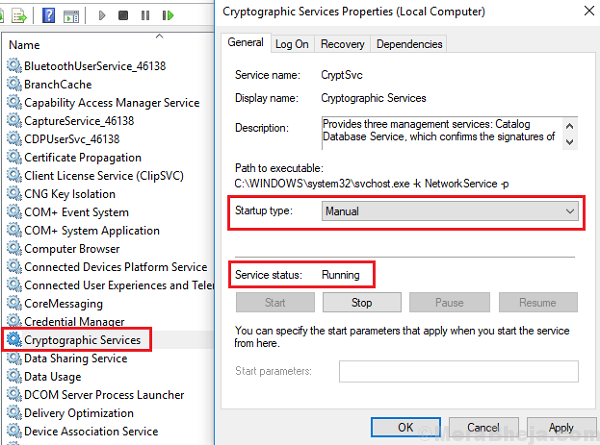 3] Right-click on the Cryptographic service and then on Properties. 4] Change the Startup type to manual and Service status to running. A Windows update might be helpful with your problem. Here’s the procedure to update Windows. Restart the system once done. Most processes in a system are dependent on drivers. If the troubleshooter ceases to work, we could try updating the drivers in an attempt to fix the issue. Here’s the procedure to update drivers. Whenever a malware is designed to attack a system, their first target would be the built-in troubleshooters. The reason is that the troubleshooters could detect the issues they create and resolve them, and that is exactly what cyber-criminals don’t want. Thus, check for any recently installed software, especially a freeware and consider uninstalling it. 2] Go to Programs and features. It will display the list of recently installed programs. 3] Arrange the list in the order of date of installation. 4] Check for suspicious recently installed software. 5] Right-click and uninstall the suspicious software. The SFC scans helps check issues with the drives of the Hard Disk. Run it to check for errors with the sectors of the drive. It might be helpful in resolving this problem. 1] Search for Command Prompt in the Windows search bar. 2] Right-click on the Command Prompt icon and then on Run as administrator. 3] Type the command DISM.exe /Online /Cleanup-image /Restorehealth. Press Enter. 4] Type the command sfc /scannow. Press Enter and restart the system.